Will be held Oct 17th, 18th and 19th. Fridays hours are 4-9 p.m. There will be free gifts for first 100 people each day and special kids giveways. 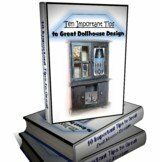 There is also going to be a free raffle for a 1/2 scale dollhouse kit and other fun items. Come enjoy the world of miniatures and be a kid again.